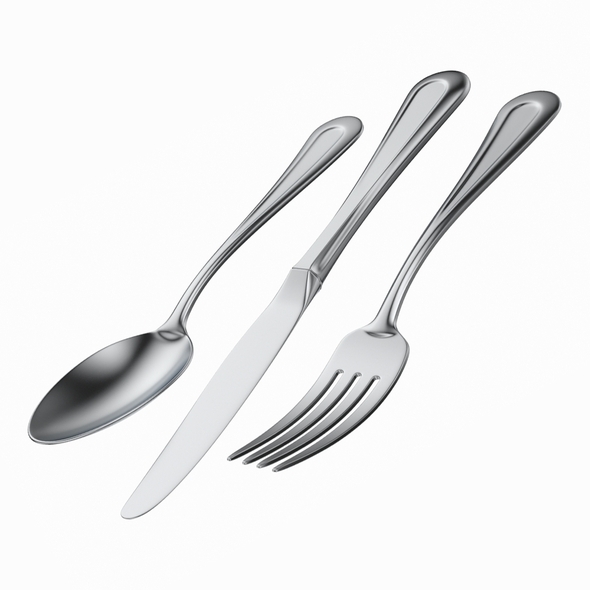 High detailed photo-realistic 3D model of classic style table dinner cutlery. Base of model was positioned at the World Origin (0,0,0) just above the grid. Two *.max files are provided: for V-Ray renderer and Scanline renderer. File formats: 3ds Max 2011, Maya 2011, Cinema4D R13, 3DS, OBJ, FBX, DXF. Previews were rendered in 3DS Max with V-Ray renderer using mesh subdivision level 2. .OBJ, .FBX, .3DS, .DXF were exported straight from 3ds Max.